Mr. Rodriguez was admitted to the Florida Bar on May 22, 1984. He is also admitted to the United States District Court, Middle District of Florida (July 11, 1986) and Southern District of Florida (July 16, 1985); the United States Court of Appeals for the Eleventh Circuit (November 26, 1986); and the Supreme Court of the United States of America (July 16, 1999). In 1988, Mr. Rodriguez became a shareholder in the law firm of Rodriguez & Aronson practicing primarily admiralty and maritime law, including defense of maritime tort claims, carriage of goods, and marine insurance matters in state and federal courts. Mr. Rodriguez has substantial experience in maritime property and casualty litigation, including appellate practice, and representing plaintiffs in civil rights cases, personal injury, property damage, marine insurance, and labor disputes. Mr. Rodriguez was a shareholder in Rodriguez & Aronson, P.A., until it dissolved in September 2009, after which Mr. Rodriguez became the Managing Member of Rodriguez Law Office, LLC. Currently, Mr. Rodriguez focuses his practice on representing persons injured in maritime accidents, civil rights cases, labor disputes, marine insurance disputes, and other catastrophic personal injury, death, and property claims in state and federal courts. Mr. Rodriguez has been recognized by his peers as one of Florida’s legal leaders with the honor of being named to Florida Trend’s Legal Elite. Florida Trend’s Legal Elite is determined by polling practicing lawyers in the state of Florida to name lawyers whom they hold in the highest regard – lawyers with whom they had personal experience and would recommend to others. In 2015 and 2016, Mr. Rodriguez was honored to be named one of the Top Lawyers of South Florida in recognition of legal excellence and achievement by the legal community. From 1972 through 1977, Mr. Rodriguez was employed at South Miami Hospital in various positions, primarily as a pulmonary function technologist on a full-time basis while simultaneously attending college. In 1977, Mr. Rodriguez left SMH to manage his family’s business, ABC Marine, a retail dealership of recreational boats, motors, and equipment. During this time, Mr. Rodriguez also attended Florida International University. Mr. Rodriguez left ABC Marine in 1981 to attend law school at the University of Miami. After graduation from law school, Mr. Rodriguez was employed from 1984 through 1986 as an associate at the Law Offices of Stanley M. Rosenblatt in Miami, and from 1986 through 1988 as an associate at Hayden & Milliken, P.A., in Coral Gables, Florida. On April 1, 1988, Mr. Rodriguez joined with fellow University of Miami School of Law alumnus Jonathan Aronson to found their own firm. Mr. Rodriguez was born at Camaguey, Cuba, and moved to Miami with his family in July 1959. Mr. Rodriguez attended St. Theresa’s School in Coral Gables and graduated from Christopher Columbus High School in Miami, class of 1973. 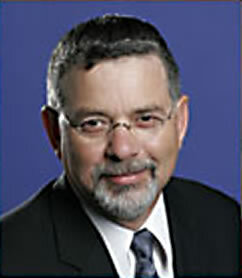 Since 1993, Mr. Rodriguez has served on the Board of Directors of South Miami Hospital, and is a past member of the Ethics Committee of Baptist Health, the parent corporation of South Miami Hospital; past Chairman of the Neonatal Intensive Care Committee of South Miami Hospital; and he currently holds the position of Vice Chairman of the Board of Directors of South Miami Hospital. Mr. Rodriguez is an avid cyclist and an experienced martial artist, having trained for many years in the Korean art of Tang Soo Do (Soo Bahk Do), and the Japanese martial art of Aikido. Mr. Rodriguez is fluent in English and Spanish, and resides in South Miami with his wife, Michelle, and two adopted canines.